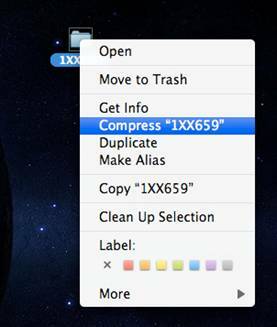 It is a great idea to compress your digital files when submitting them over the internet. Compressing files is similar to wrapping your priceless china in bubble wrap before shipping it overseas. Without the bubble wrap, your priceless china might end up shattered and worthless. The same can hold true with digital files. As your files bounce around the internet, they can get stripped of vital code that identifies them as valid TIFF’s or EPS’s or whatever the original file types. Without compressing your files, you run the risk of sending us incomplete or “corrupted” digital files. 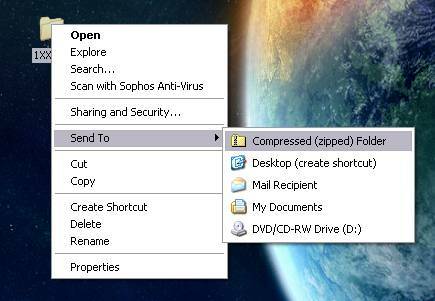 If you are using Windows, compressing files is as simple as right clicking. This will automatically create a zip folder in the same directory as the file (if the file is on the desktop, the zip file will be on the desktop). The folder will be extracted as a separate file in the same directory. To compress a file, simply hit Ctrl + click (or right click if you have a 2 button mouse). Extracting a .zip file in MacOS is even easier. 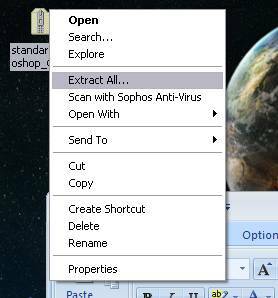 All you have to do is double click the .zip file and Archive Utility will automatically extract the folder as a separate file. Some people prefer to use third party compression software such as Stuffit Deluxe, Winzip, WinRAR or 7zip.